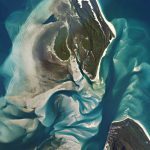 Tidal channels cut through an unnamed portion of the Great Barrier Reef off the coast of Queensland. Queensland is home to nearly 5 million citizens and some of the earth’s most delicate ecosystems. At 1.8 million square kilometers, the region contains rare earth resources, unique biodiversity and sensitive coastlines neighboring the Great Barrier Reef. Protecting this vast natural landscape is the challenge of Queensland’s Department of Natural Resources and Mines (DNRM) to manage. To complement field practices, the DNRM turned to satellite imagery to monitor regions of the state. For years, the DNRM relied on annual satellite imagery updates of large regions of the state, often delivered via external hard drive for processing. This led to delays in image analysis, creating critical gaps in information and lags in time-sensitive responses by resource managers. 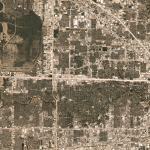 The department recognized the potential to modernize their approach to satellite imaging as a primary tool for monitoring resources, and turned to mapping and GIS specialists Geoplex for help. “When the DNRM contract came up for renewal, we knew we could offer the department a solution that focused more on timely delivery of content,” says Nigel Conolly, sales and marketing manager at Geoplex. To build timely and accessible solutions Geoplex looked to Planet’ high-cadence imaging and cloud-based delivery. Having consistent and current satellite imagery can greatly improve DNRM’s land management practices; Planet’s automated data pipeline offered a fast, reliable cloud infrastructure to the department, and proved recent and complete coverages of the entire state. “This solution would provide the department with current information, empowering them to make more informed decisions,” states Conolly. Monitoring runoff sediments load in rivers provides data to those working to improve coastal water quality and reef health. Image captured May 6, 2017. 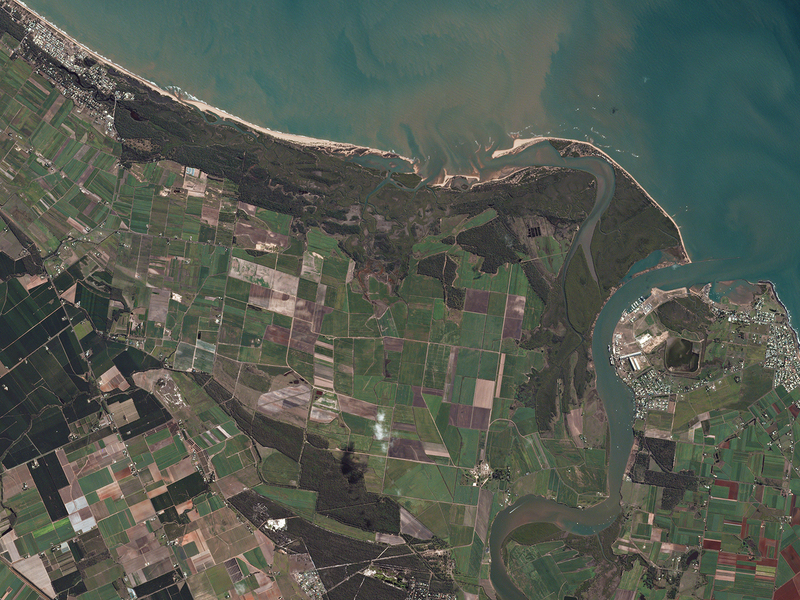 Planet imaging and Geoplex analysis revealed new capabilities in environmental monitoring and protection for Queensland. For example, connecting rainfall data in key catchment areas and tracking uplands vegetation could help managers and scientists understand the connection between land and coastal reef health. In instances of extreme events, Planet data is also helping the DNRM respond. This May 2017 marked record flooding of Rockhampton, Queensland in the wake of Cyclone Debbie. With daily imaging available before, during and after the flood surge, the DNRM could monitor impacts to natural and urban environments, and work with authorities to manage responses to the flood. Planet enabled the DNRM to make daily imagery available to the public through the Disaster Data program to help coordinate relief efforts. With more timely information, the DNRM is able to actively respond to and prevent land degradation activities. Land clearing that previously had gone undetected could be identified and documented providing Queensland’s DNRM the information to formally engage property owners and deter future incursion of environmentally protected areas. Creating a comprehensive and current picture of the state helps Queensland understand and preserve the complex balances of its unique natural environment. Images of flooding at the Fitzroy River, Rockhampton, Queensland. With imaging of affected areas captured before (May 27, 2016) and after (April 7, 2017) peak flooding, Planet could help the DNRM track impacts and share data to coordinate the disaster response. Learn more about Planet Monitoring for your territory. Read the full story of the Geoplex and Planet project in Queensland.